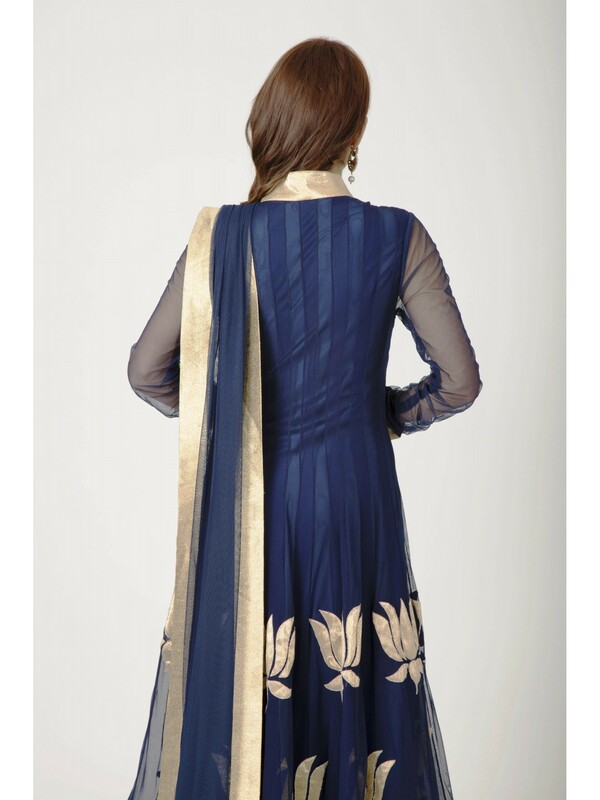 Get in touch with your feminine side as you put on this blue colored Anarkali set from Ranas. 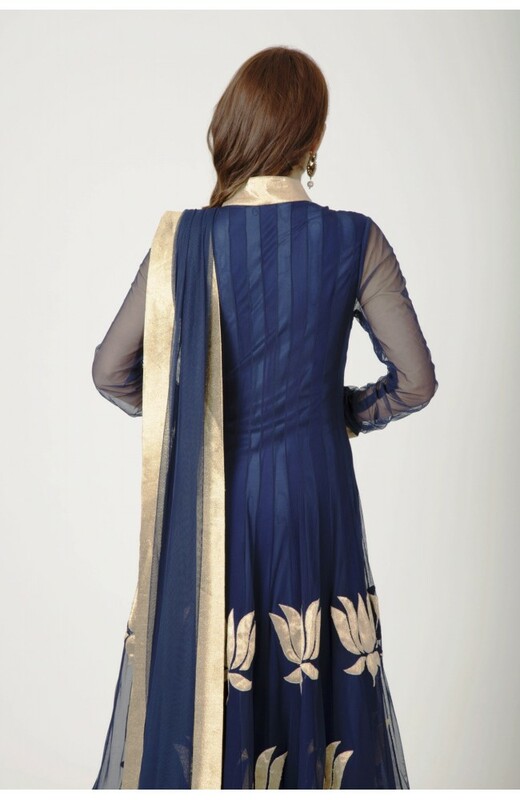 The kurta is fashioned with chiffon and net fabric, which ensures complete comfort to the wearer. Decked up with lurex patch work, this set includes a net dupatta and a stitched bottom that will further accentuate your look.